Police said that the 10 were local labourers who were engaged by the Border Roads Organisation (BRO) for clearing snow near the Khardung-la Pass. At least 10 persons were buried under an avalanche at the world’s highest motorable road at Khardung-la in Ladakh on Friday. Four bodies had been recovered till the afternoon by the rescue teams while search was on for the remaining six. Police said that the 10 were local labourers who were engaged by the Border Roads Organisation (BRO) for clearing snow near the Pass. The two vehicles in which these labourers were travelling reportedly got buried under a massive avalanche early in the morning at about 7 am. Rescue teams of the Army, BRO and SDRF were rushed to the spot to remove the mounds of snow and pull out those buried. Senior civil and police officers have also reached the spot. 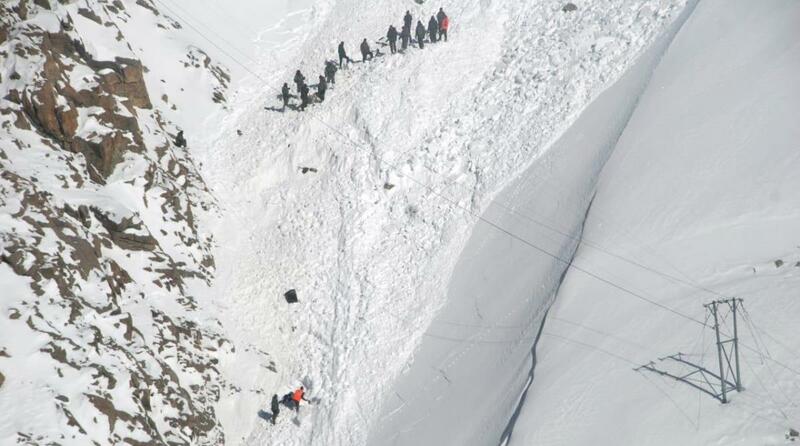 Rescuers faced difficulty due to the freezing temperature of about -20 degrees Celsius at the 17,500-feet high Pass. Snowfall further hampered rescue work. A spokesman of the Army said that two trucks along with 10 civilians were buried under approximately 20-feet-deep snow. The location of the incident is approximately 800 metres from Khardungla Top towards South Pullu. 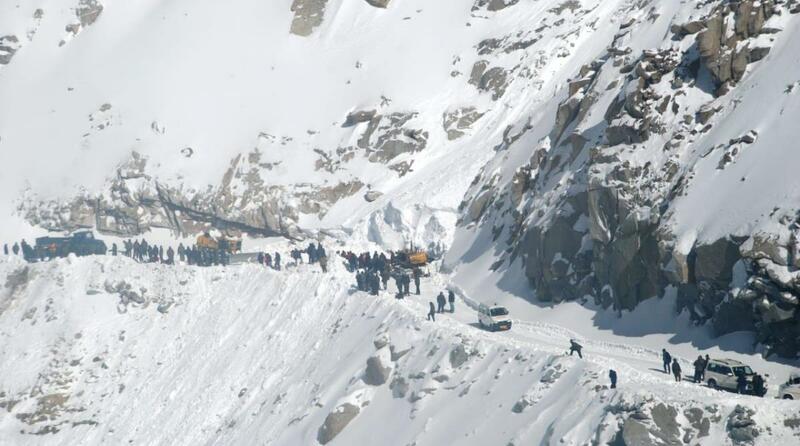 Two civilian drivers informed the Army detachment at Khardungla Top of the incident at approximately 7.45 am. On receipt of the information, all resources of the Fire & Fury Corps were activated. Army teams deployed near the incident site swiftly moved in and commenced the search-and-rescue operations. Troops deployed at South Pullu and North Pullu were also moved to the site of the avalanche. These teams are equipped with specialised avalanche rescue equipment, medical equipment and avalanche rescue dogs, which are being utilised in the search and rescue operations. Army Aviation helicopters were also used to move the Deep Search Radars which can detect human beings through snow. Medical teams comprising doctors and nursing assistants, heating blankets, medical equipment and warm clothing were moved to the avalanche site from the Army Hospital at Hunder. Lieutenant General YK Joshi, GOC Fire & Fury Corps personally carried out an aerial assessment of the avalanche site and issued necessary directions for the smooth conduct of the rescue operations. The GOC assured the civil administration of complete support during the rescue operation. Out of the 10 civilians reported to be buried under the avalanche, four bodies have so far been recovered and mangled pieces of one of the tippers was found on the steep slopes below the road. The rescue operations are still in progress, however, since the Run Out Zone of the avalanche is approximately 1100 metres down the steep hill side, the operations may take some time. Expressing grief over the loss of lives due to the avalanche, Governor Satya Pal Malik announced ex gratia Rs 5 lakh to kin of the deceased. 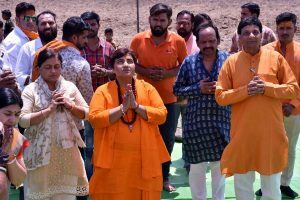 In his message the Governor prayed for eternal peace to the departed souls and strength to the bereaved families in their hour of grief.